rebuilt Ford 289, rebuilt C-6 trans with shift kit, Dana 20 transfer case. custom upolstry, power brakes (from jeepster), big radiator, Air Cond. stereo, Stewart Warner gauges ,and enough money in paint to feed 100 starving North Koreans for a year. 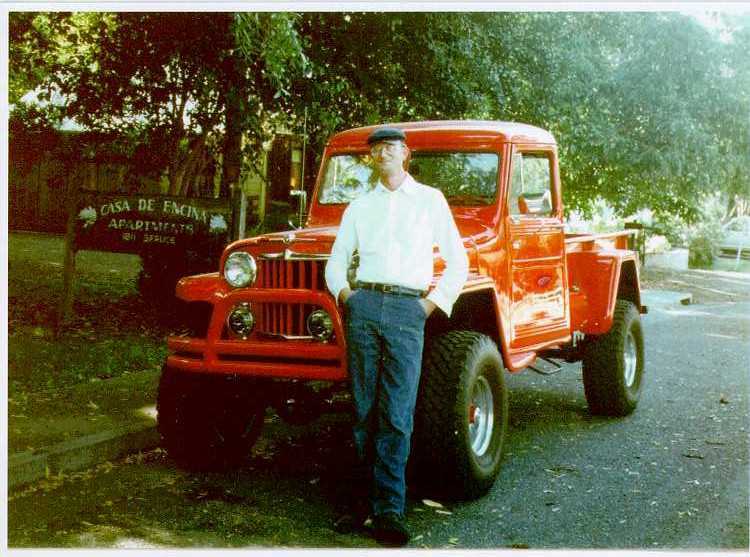 When this picture was first posted, this Willys was for sale. Felix let me know he has sold this beauty, but he is working on another.